Zoom Property Agents opened their doors in December 2016 and are an innovative and high energy real estate agency located in Ulverstone, in the heart of the Central Coast of Northern Tasmania. A thoroughly professional agent who at all times kept me up to date on the process of selling my house. I personally wish to thank Michael Baxter for the effort he put in to ensure a smooth sale and I would recommend Michael Baxter to any future clients in the sale of their home. The best real estate we found in Tasmania While searching for a property in Tasmania to buy we came across Micheal from zoom property. We found him to be very pleasant and very informative but not pushy like most real estate agents are. His local knowledge was outstanding and his follow up skills were second to none. If we needed anything along the way to and after the purchase he made himself available any time. This alone makes him a standalone agent. Nothing in the way of help and information was too much for Micheal and his team at Zoom property. We would highly recommend using this agency above all in Tasmania. Very satisfied As a relative novice I was looking for clear, persuasive and reasoned advice. I found Michael to be very straight about the selling process and he outlined his expectations as to price, likely buyer profile and presentation of the property. The level of contact was just right with regular updates every five to seven days. I had not trouble maintaining timely contact with Michael. The only time I had some doubts was perhaps an overly optimistic interpretation of the first negotiations. I always felt he was out there selling the property and doing so in a very professional way. We achieved a sale that I am very happy with. Very Knowledgeable and Enthusiastic Agent Nothing was ever too much trouble for Michael. His Enthusiasm toward selling our property was always present, and when contacted regarding a question , he always answered factually, and if not available when we tried to contact him, he always got back to us within a short period of time. His advice toward a possible improvement to make our house more presentable, was a great help. We have no hesitation toward recommending Michael and his team, if you are thinking of selling, or indeed renting your property. Thanks again Michael for all your help and support during the sale of our house. Sincerely Garry & Deb. Exceptional customer service highly recommendable If you are wanting honesty with exceptional customer service I can highly recommend Michael Baxter. Thank you for selling our property so quickly and effortlessly Michael. Proactive Agent! Michael was easy going and helpful to work with, and always replied the same day to any questions I had.. he followed up with the same integrity throughout the whole process. A pleasure! Michael is a pleasant and friendly person. He was a pleasure to deal with and most helpful at all times. Prompt and pleasant service! Very pleasant to deal with and helpful throughout the purchase of the property. Zoom Property Agents - Michael Baxter! We initially approached Michael regarding looking at properties to purchase whilst in Tasmania for 1 week. He suggested a couple of properties other than the ones we were looking at on the internet. We looked at 2 properties and had a further inspection of 5 Long St, Penguin the following morning. Michael negotiated the price with the current owners and we purchased the following day. We found him to be extremely professional, gave us plenty of local information and was a pleasure to deal with. We are very happy with our purchase and would highly recommend Michael and Zoom Property. Honest Agent! Michael was up front, honest and professional. Great Agent! Michael is great to deal with, communication throughout the buying process was great, very knowledgeable about the area we were buying in. Highly recommend. Very professional, also friendly! We would have no hesitation recommending Michael to anyone. Ours was a rather difficult place to sell but Michael persevered and won in the end. Many, many thanks. Jeff and Josephine Dent. Excellent agent! We were very pleased with Michaels effort. He is bright, knowledgeable and courteous to seller and buyers. Good Agent and Team! Very helpful in getting our property sold, thoroughly checked over property and gave us helpful advice. Kept in touch with us at each step and has a great team in his office. Excellent agent who understands the needs of interstate clients! We give Michael Baxter of Zoom Property Agents our highest recommendation. Michael made our purchase of a house effortless, even though we live interstate. We were only in the area for a short period of time before we had to return home. Michael went over and above to help with details that would have been more complicated if we didn’t have his assistance. In addition to Michael’s excellence, Vanessa (the property manager) has been equally professional, helpful and pleasant to deal with. We’re looking forward to a long-term relationship with Michael, Vanessa and the team at Zoom Property Agents as we’ve chosen them to be our property managers for the house, which we intend to move into when we retire in 5 years. Many thanks! Great communicator! Michael has achieved a great result for us in the sale of our more unique home. His great communication skills kept us informed every step of the way and his persistence in sourcing prospective buyers was exemplary. His friendly manner, energetic enthusiasm and innovative methods got the job done. Thanks Michael for an excellent result. Number 1 for friendly customer service  Michael helped make the daunting task of buying my first home a very smooth experience. He had a very friendly, approachable, professional and sincere manner and was extremely helpful and obliging at every stage - arranging two house inspections at very short notice over two days and came in to the office on the weekend to enable me to sign the contract of sale - he certainly went above and beyond. He explained the whole process clearly, was very efficient and communicated with me regularly. I would highly recommend Michael's services to home buyers. I appreciate all he did to help me achieve my dream. First Class Service! Michael Baxter was a real pleasure to work with in selling our home. Michael’s enthusiasm and drive was clear from our very first meeting. Our home was beautifully photographed and marketed. Communication was first class with Michael contacting us with thorough feedback after each inspection and as a result our home was sold very quickly for a price we were extremely happy with. I would highly recommend Michael if you are looking to sell your property. Happy buyer! We have bought in the Penguin area from Micheal. We were only in the area looking for only 1 day. Michael spent several hours with us, getting to know our needs. He showed us a property that suited our needs that hadn’t even been listed for sale yet. He negotiated with the vendors to get an early viewing and that’s the house we bought! Super helpful and found us the perfect place is a perfect location. Thanks Michael! We enjoyed working with Michael with regard to our recent purchase. At all times Micheal kept us up to date and informed and made himself available for any matters we needed to clarify. We appreciate all his efforts and are still smiling. Great and very helpful. Thank you Michael for your great help - showing us 6 Amber Court, Ulverstone which is going to be our future retirement home in few months time! We like the area very much. It is a big change for us after living in the quiet of the country life for almost 50 years! Great thanks from both of us, sincerely Joseph and Virginia. Really helpful! Michael has been really helpfull during this process.He has gone out of his way to assist. Very satisfied! Michael, was very easy to deal with throughout the purchase of our property. His assistance after the sale with other matters was also first class and he made it look easy. Thanks again. Great agent - 03 Aug 2018 Micheal worked hard to get answers to the many questions I had regarding the property in the limited time it was on the market prior to auction. The auction was conducted thouroughly and efficiently. I wouldn't hesitate to to list a property with Zoom. Great Purchase Experience - 31 Jul 2018 Having had some unfortunate experiences with negotiations in the past, it was refreshing to find that Michael was so efficient and effective with negotiations for our purchase. Michael also excelled in having a broad knowledge of rural properties in general, as well as specifically the property we purchased. We are very happy with Michael and our purchase! Fantastic Agent. - 31 Jul 2018 Right from the first day, Michael provided us with good information and ideas to increase the saleability of our lovely home. When a potential buyer was interested in our property, Michael kept us informed of all communication, meeting with us on Sunday afternoons and evenings after work. Nothing was an issue and he accommodated our needs very thoughtfully. would highly recommend Michael and the lovely team at Zoom Property Agents to anyone wanting to Sell or buy property. Thank you Vanessa for managing our rental property for the past 10 years. You have done an excellent job in placing the best tenants into our investment property each time and managing it in a very professional and courteous manner making my life so much easier. I would highly recommended Vanessa and her team at Zoom to manage your property. Excellent service! Amazing Agent! Michael's knowledge of the local market and how to approach the sale of my home was top notch. He's ability to read the market, to deal with buyers and sellers is the best I have come across in years. Ulverstone is lucky to have such a knowledgeable and helpful agent. I would highly recommend Michael to anyone looking to buy or sell. Totally recommended Totally recommend Michael. Excellent communication & makes the process as stress free as you can get when selling a property. Zoom is an excellent agency.! Jan and I received excellent service from Michael and the staff at Zoom. Michael was very approachable and couldn't do enough to help. We would like to thank Michael. We would highly recommend Michael and his staff. Good hard working Agent ! I found Michael professional friendly helpful and wish him every success for the future. Micheal's communications with us during the time we had our land listed with Zoom were excellent, We appreciated the amount of effort he exerted to sell our block. Head and shoulders above the rest! It really was a no brainer for us! We wanted to sell our house and move forward so the clear choice for us was Michael Baxter. Every step of the way Michael exceeded our expectations and he certainly delivered on his word! Michael is progressive, innovative, determined and customer focused. Michael was always punctual for meetings and clearly had a well-developed understanding of the local property market. Michael stood head and shoulders above others when choosing our agent. Michael’s ability to capture the unique qualities of our house in his write up ensured our home appealed to the right potential purchasers and they were walking through the door immediately! We can’t thank Michael enough for his professionalism and dedication. We wish the entire ZOOM Property team all the very best in the future and encourage those looking to sell or buy in N/W Tasmania to contact Michael and the team to discuss your needs – you won’t be disappointed you did! Winners all around! Michael communicated all the aspects of the sale in a clear, professional and enthusiastic manner. Both the vendor and purchaser were interstate, so regular phone and email contact was greatly appreciated. Also was reassuring to the current tenant. Wins all round. Best of the Best !! Hands down, best of the best, Period !! Professional, extremely motivated, attention to detail, and very driven, a great team of people.. Very happy Micheal, thank you and your team, We are SOLD!! Job well done! We thought the original asking price for our house was a bit optimistic but that is preferable to the other way. Michael did a great job and kept in touch with us regularly. He negotiated a sale price that we are very happy with and the house was sold reasonably quickly. Beyond a great agent! Thank you so much zoom, Michael was an absolute pleasure to deal with, his people skills were unsurpassed. He turned a stressful time of house hunting for us into a pleasurable experience. We couldn't thank you enough, you went above and beyond to help us negotiate a fair deal for our new home. We totally respect your professional approach to making our purchase as hassle free and as fair as possible. Thanks so much for accomodating us on your days off to view the property and keeping us fully informed throughout. Absolutely a 5 star service. Great Agent! The whole Zoom team have been a great help to us buying our first investment property, from the start when we were just looking to picking then negotiating then all the way through to managing the rental side of things. looking forward to a great relationship with them all. A great result! The Sale of my house with Zoom Property Agent Michael Baxter was a pleasant and stress free experience, with the house selling within a few weeks, and negotiations in a few hours. No hesitation in recommending this Agency. works hard for his clients! Thanks Michael for selling our block, you kept us up to date with what was happening appreciate your work. Loved our experience! Michael was a joy to work with. He had our best interests in heart and never once made us feel like we were an inconvenience. The communication was great and the whole process was stress free and seamless. Amazing experience for our first home purchase! Excellent agent! We appreciated Michael's knowledge of the property market and it was a pleasure to work with him to sell our house. He is a dedicated and hard working agent and we would recommend him highly. Everything was done with professionalism and in a timely manner, he communicated very well with us, nothing was a bother and a good result was achieved. Thanks Michael. Highly recommended Agent! Michael was so helpful in selling our property. He was keen and enthusiastic. His local knowledge of property prices was spot on and he wasn't one who "beat around the bush" He said it as it was, accurate, polite & best of all he did what he said he'd do and on time Without any doubt we'd use Zoom Property Agents & Michael again. Astute and personable. Michael made the selling experience much less stressful than it might have been. Great Agent! Michael was very professional and enthusiastic right from the start and we had confidence that he would sell our property quickly as he promised. He communicated well and often and we always felt he was acting in our best interests. Michael Baxter is pretty good!! Very professional and accommodating to our many questions. Nothing was too much trouble and I greatly appreciated this approach! An agent who'll keep you well informed! The process of selling our house with Michael was a very satisfactory one. Not only was it quick and painless, but Michael kept us well informed throughout the whole procedure, which I greatly appreciated,and was fair, honest and respectful in his dealings with us. We were also pleased with the sale price. His agency were also good letting agents, as l feel they looked after, and cared about, our property. During our sale process with Zoom Property I have found Michael and his staff to be very helpful, nothing was a problem. The thing that they did that other agents didn't was to keep us up to date with what was happening with our block sale. His communication with us was first class and set them apart from the other agents that we have used in the past. Approachable, respectful genuine agent! Purchasing a property with Michael was a journey of smooth sailing, he couldn't do enough to satisfy our requests and was very collaborative towards all aspects of the sale. Strongly recommend Michael and his team. Michael achieved a great result for us in a short period of time. He listened to our needs and opinions and this was reflected during the negotiation stage of our sale. Michael is friendly and courtious but also very efficient and a proficient negotiator. He achieved a sale price above our asking price with a quick settlement. We will use ZOOM again in the future and encourage others to support this independent family business too. Michael's communication was friendly, clear and professional from start to finish. He made every effort to accommodate requests and negotiations in a timely manner. There were no issues that could not be addressed. Great Service! A hard working reliable and trustworthy agent we have used Michaels at zoom property previously and wouldn't hesitate to use him again. Thank you for making the selling process 'stress free'. Has been wonderful to have you as our agent. Very satisfied with Property Management services provided from Zoom. Wishing you all the best for the future. We are happy to recommend Vanessa, Michael & team. Michael was very professional throughout our transaction and his knowledge on the NW Coast property market was exceptional. I would highly recommend Michael and his Company for any Real Estate Dealings on the NW coast. I can highly recommend Zoom Property Agents. Michael, Vanessa & their team are not only very pleasant to deal with but are also extremely efficient, thorough, knowledgeable & very professional. Our experience of Zoom Property Agents, Ulverstone has been a positive one. Thank you to the agency, in particular Erin for her support, guidance and advice throughout the entire buying process. SOLD IN 6 DAYS! We cannot speak highly enough of Michael Baxter, he assisted us assess our property's potential, presentation for sale was top notch, hit the market at the right price and sold for full asking in just 6 days. His communication was impeccable and he stayed in touch with us at every stage of the short marketing campaign. Try Zoom Property Agents to get your house sold, they sold ours. Big Thank you to Vanessa and the team for taking over our property portfolio. In the months that we have been with Zoom we have noticed a significant increase in the level of service and can rest alot easier now that our properties are in good hands. So glad our Next Move was to Zoom. Thanks again. I would like to thank Michael and his team it had been a difficult time due to the climate in Tasmania at the time however Michael persisted and eventually sold our block. I wish Michael all the best in he future and trust that continues to grow his operations. As semi retirees, we were unfamiliar with the requirements of being a landlord, and tenanting our properties. We needed a real estate agent that was experienced and affordable. We hired Zoom Real Estate because they were willing to negotiate a competitive rate and offer an advertising package that suited us. Zoom Real Estate’s experience in looking after our interests, all the accounts, our tenant’s needs, such as repairs etc., and inspecting our properties, was always efficient and effectively carried out. We are pleased and satisfied with Zoom Real Estate’s management of our properties and their diligent and professional work ethic has enabled us to get on and enjoy our semi-retired lives. Katie and Paul S.
I would like to acknowledge Vanessa from Zoom who has been exceptional as a property manager. 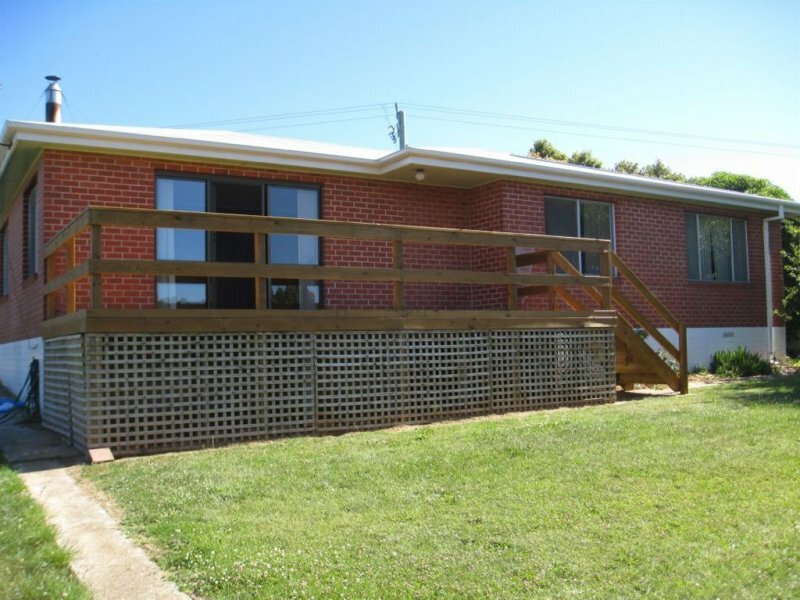 I was able to move away from Ulverstone and be totally comfortable that my property was being managed professionally. Vanessa has been incredibly helpful, friendly and excellent with communication. The unanticipated sale was managed again outstandingly by Michael, smooth sailing with this professional team. I would recommend Zoom with confidence to anyone seeking property management, renting, buying and selling. Thank you and full accolades for the Zoom Team! I used Michael because he was the only one that really wanted to sell my property and he did! Nothing was to much trouble thank you for the purchase of our new home Michael and the team at Zoom best of wishes for the future. My fiance and I live in another state, so buying our first property should be especially stressful, but Michael made this experience so simple and easy.....he was never too busy to talk to us and calm our nerves! I would highly recommend Michael if you are looking to purchase, or sell a property....he is in simple words...the very best!! Great Agent! We have used Michael & Vanessa at Zoom Property for many years to manage our investment property. Have always been impressed with their knowledge & professional service. Michael has now just sold our investment property for us, making the process streamline & easy. Great team to deal with. To whom it may concern, Zoom Property Agents, Ulverstone have been managing my property in Penguin since October 2016. The agents have done a most commendable job finding great tennants and looking after the property. Zoom Property Agents, Ulverstone are really good at their job and their integrity made it a stree-free arrangement for me. I would certainly recommend their services to one and all. Most sincerely, Craig C.
Always very professional, when they say they are going to do something they do. Very pleasant. In 2016 my husband and I found a property that we would like to live in when we retire. Living in regional Victoria we took a chance and purchased it. As our retirement is at least ten years away., we now lease the property using Zoom rentals are our managing agent. I have found Vanessa a pleasure to deal with. She is professional, knowledgeable and very efficient. Nothing is a problem for her. I have peace of mind knowing that although I live a long way from my property, Zoom are looking after it for me. I highly recommend using them. I live on the mainland and don't know all the staff but would like to say that when I was looking to buy a house Michael Baxter was amazing and went above and beyond for us. I thought if ever I need to sell my house he's the man for the job. We rent our house out through Zoom and although I haven't met Vanessa in person I have dealt with her by phone and email and I believe she is very professional and thorough always happy to help with my many enquiries, we are very happy with Zoom Realestate. After self-managing my rental property for a number of years, I decided to make the change and handed my keys over to Vanessa to manage for me instead. This has remained an unregrettable decision. Nothing is too much to ask of Vanessa and communicating with her is effortless. At all times her approach is professional, efficient and extremely thorough, always ensuring that I have the right tenant leasing my property. I highly recommend Zoom Property Agents for all of your real estate needs. We have our house for sale and our property managed by Zoom Property Agents. We have found Zoom to be reliable and offer outstanding customer service. On top of this they are friendly, knowledgeable and very professional. We would highly recommend anyone to use Zoom Property Agents. Dear Michael and the Team, Just wanted to take a moment to say a massive Thank you! We are so grateful to you for talking to us on your days off, at night and even whilst you were away on holiday. Jessica and David are building their first home and that is simply because of your help and support! Thank you so much. We are officially Penguinites! I would like to take this opportunity to thank Michael and his team at Zoom Property, I have been a client of Michael's for at least 7 years. I have been very impressed with the way my property has been handled. I enjoy very proficient and professional service from every member of the team. They are amazing if I require anything sorted I know it's going to be done in a friendly and effective manner. I have nothing but praise for the whole team and will continue to do business with them for many year to come. The property team at Zoom, and in their previous realty business, have been managing my investment property in Penguin for 5 or so years now. In that time they have provided to me a professional property service of the highest standard. The personal service and client communication has been first rate, whether it be vetting new tenants, inspecting and following up on property issues, providing thorough and timely reports and accounts, or responding to and dealing with any tenant problems. Living interstate, makes it so much more important that you can trust and rely on the agent to take care of your investment I sleep easy at night, knowing that this is the case. To whom it concerns we Terry & Geneen Burns have been dealing with Zoom and their previous name for many Years. The service they provide is excellent. They have looked after our two units as if they were their own. We would highly recommend them to anyone. We have been utilising the services of Zoom Property Services for the last 18 months and have been impressed by their professionalism and helpfulness. As we grow our portfolio of properties, we intend to build our relationship further with Vanessa and the team. We would like to thank the hardworking and professional team at Zoom Property Agents for the outstanding job they do managing our investment property. Having a property manager you can rely on and trust is essential, especially when you live interstate. Zoom keep us well informed and are prompt to respond to any requests. Their local knowledge, friendly professional service and care and attention to detail takes the stress out of managing a rental property. I would like to take this opportunity to congratulate Zoom Real Estate on being an excellent small Real Estate business. In all my dealings with Zoom Real Estate I have found them to be really helpful, courteous, and friendly. Full marks! Just to let you and Michael know that we are very satisfied with the service provided by Zoom Property Agents We have a rental property and have a block of land for sale with your Agency . At all times you have been openly approachable and patient to any concerns we have had and have attended to them immediately. Just a quick note to Vanessa to say thank you for the great job you do managing my rental property. I have peace of mind knowing that despite me being thousands of kilometers away my property is in good hands. You are on the ball with notifying me if anything needs to be discussed or attended to and happy to arrange any maintenance repairs which need to be done. Thanks for your wonderful professional service. Zoom thank for help out! Thanks for selling my Michael Baxter good job! My experience with Zoom Real Estate (Michael Baxter) was one that I would recommend to anyone, Michael's communication each week was reassuring that he was working hard to sell our property and not just another listing. Once our property was sold the process was stress free as Michael communicated with us on a regular basic to ensure everything was ok.
Great agent! Gets the job done fast friendly and efficient! Professional Service A pleasure to do business with Michael and his team. Always willing to answer any questions. Would recommend them to anyone looking to buy or sell. Michael makes things happen - the results speak for themselves We have recently had the pleasure of both buying a new home and selling our existing property through Michael Baxter and Zoom Property. If you are looking for a truly dedicated and highly experienced agent with extensive local knowledge then look no further. Michael's communication and the personalised service he provided throughout the process was well above our expectations. His advice on how to market and present our property was excellent and played an important role in achieving our desired price. Only two weeks after listing our property we had a contract. During this two week period we had many inspections all of which were validated buyers and feedback was promptly provided. The results speak for themselves. Michael makes things happen and we cant thank him enough! Michael Baxter made us feel like we were in very safe hands. He was thorough and fair with his communications dealings with us and I am sure the buyer felt the same. He worked hard to sell the property and he communicated with us after every prospective buyer contact. It always felt like things were moving forward - so no need to stress about it. Great job, thanks Michael! Thanks to Michael I felt comfortable. That means a lot when you are elderly. Always cheerful, giving excellent and accurate information, nothing was too much trouble for Michael. If I have to sell I will call him first. Trust, once earned, sticks with me. We found Michael to be open, honest and so easy to deal with. We purchased a property in Shearwater through his agency and would not hesitate to either purchase or sell with Michael. Refreshing to find a salesman of this calibre in the industry. Jan and I have been using Michael and his staff for quite a while. They looked after our investment home for many years and eventually assisted us in selling that property. We have found Michael and staff to be very approachable and we would like to recommend them to anyone that needs a reliable estate agent. We will be using Michael and his team in the near future to assist us in selling our existing home. We wish Michael and his team a prosperous future. Michael was an enthusiastic agent who was always trying to find the best deal for his customer , his diligence and caring nature was a pleasure to deal with , I would recommend him at any time . In all my dealings with Michael and his staff members, for both rental management, marketing and the sale of my property, I have received unfailingly polite, professional and efficient service. It gives me great pleasure to provide my unconditional endorsement and recommendation. Thank you Michael, we were very pleased with the way you handled all aspects of our purchase. Your friendly, professional attitude made the whole process easy and trouble free. We wouldn't hesitate to recommend you to any of our friends and acquaintances who are thinking of buying or selling. Michael Baxter you are a Legend! Thank you so much for selling our house today. We know you worked hard to do it and we really appreciated the way you communicated with us throughout the process, and kept us informed of the opportunities and what the potential buyers were thinking. I think you've found the right person who will love living there. Thanks mate! Michael was so helpful finding our new home. Recommend Zoom to anyone looking for their next home. I would highly recommend Vanessa to anyone considering renting their property. Vanessa is highly professional and thorough, she managed my property for over 12 months and carried out regular visits, promptly addressing and problems the tenants had. This has a flow affect, because happy tenants meant greater care. The carefully selected tenants recommended by Vanessa, actually left my house in a better condition. Thanks Vanessa. Thank you very much Vanessa for all your support, help and hard work on our behalf with the management of our rental properties . I'm sure if it wasn't for you and your professional approach to it we would not have fared as well as we did . Thanks for your honesty and that nothing seemed too much of a hassle. I recommend Vanessa as an excellent property manager. We found Michael Baxter to be open, honest and wonderful to deal with. He went above and beyond to show a property to us after hours and after dealing with several agents Michael was refreshingly truthful and easygoing. Highly recommended and look forward to future opportunities with ZOOM.